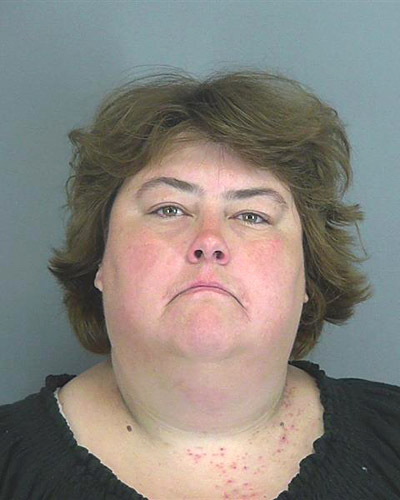 In the most American of crimes, a South Carolina woman was arrested Saturday afternoon for stealing a Bible from Walmart. According to cops, Frances Thomas, 33, was spotted by a store employee placing the Good Book in her purse while she was inside the Spartanburg store. Thomas, seen above, also allegedly pinched some cheese and socks. After departing Walmart, Thomas was corralled by loss prevention officers, who later turned her over to police. She was cited for shoplifting and booked into the county jail (from which she was released Saturday evening). 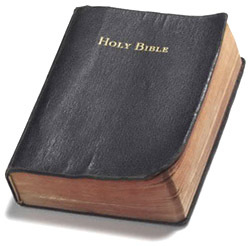 The Bible and the other items “were recovered and are resellable,” cops noted.